During the hot summer months, homeowners often experience sticking and hard to open doors. When homeowners first experience sticking doors and windows, their first worry is humidity. It is a common misconception that humidity is the sole cause of sticking doors, leaving many homeowners to attempt to fix the problem themselves instead of searching for the real issue. However, sticking doors are often a sign of a much more severe problem with your foundation. If you’re experiencing sticking doors, you may also notice diagonal cracks at the corner of your doors or sagging floors. It is also common for there to be wedge-like gaps at the tops or sides of your doors and windows. As these problems usually point to more significant foundation issues, its important to get them checked out by an experienced foundation repair company such as Rapid Foundation Repair. We are your sticking doors South Dakota experts. When surveying your home, Rapid will take the time to make sure that your sticking doors aren’t pointing to a bigger problem. Our well-trained staff uses only the highest quality ECP products for a range of foundation repair services, from helical tieback installation to wall crack injections. 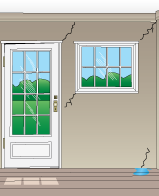 Sticking doors are often a small sign that is coupled with cracks in your foundation wall. Our various foundation repair services can reinforce your foundation and ensure the stability of your home. Foundation problems, big or small, are dangerous, as the foundation is the true base of a strong home. Sticking doors and windows, along with cracked walls or floors, leaning or bowing walls, and leaning chimneys, indicate the need for foundation repair from Rapid Foundation Repair. A common cause of sticking doors is having a settling foundation. When the soil around your home gets wet, it expands, pushing in on your walls and causing cracks and sticking doors, among other problems. This pressure can be reversed with products such as helical tiebacks and anchors. 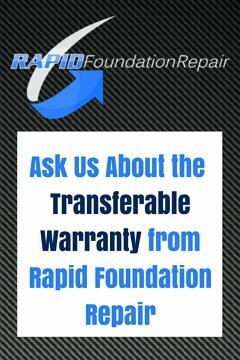 If you’ve come across doors or windows in your home that stick, call Rapid Foundation Repair to come take a look. We have all your sticking doors South Dakota problems covered.